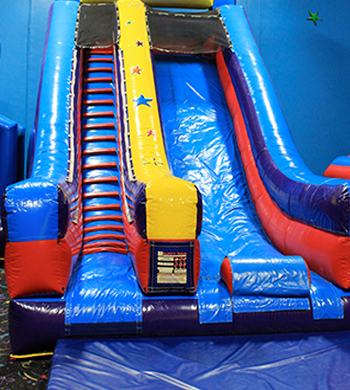 Our 22 foot slide is perfect for everyone. The staircase with rope rails makes it easy for smaller children to climb without assistance while still being big enough to give everyone a thrill, even the adults. 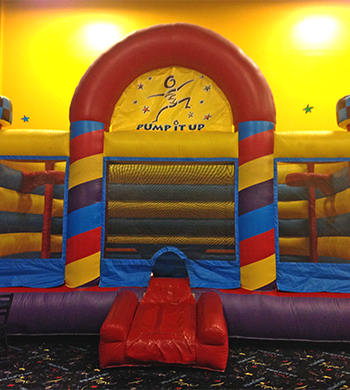 This 15 ft by 15 ft bounce house is spacious enough to not just bounce, but box, too! Boxing gloves and head gear are available upon request. 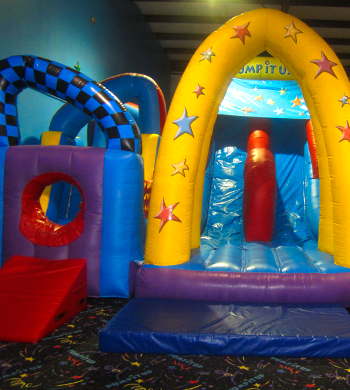 Our giant obstacle course is double sided to allow for two participants to be able to race safely on separate sides. For the sports enthusiast, compete against your friends in a game of 3 on 3 or just get some practice shooting hoops in our basketball inflatable. 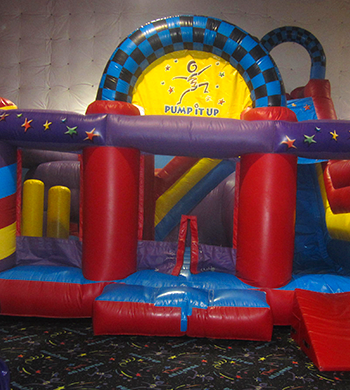 It's so big, it's also fun to just jump around! 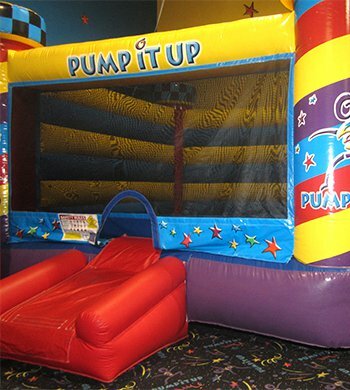 The 3 in 1 inflatable combines a bounce house, obstacle course, and slide into one. This is great for those who can't decided what to do first! Turn down the lights and turn up the fun for your party. 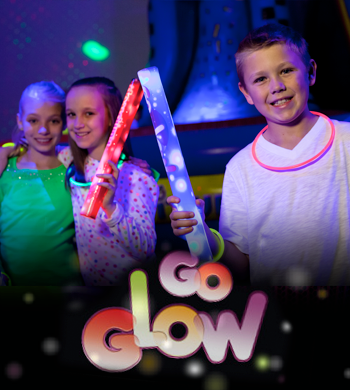 GO GLOW is only $39 and is available in Arena A only. Bubbles, bubbles and more bubbles. Kids go crazy for BUBBLES!!! 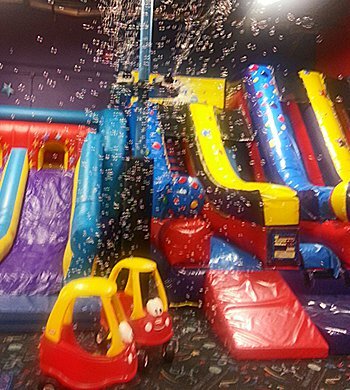 You can add bubbles to any party for only $20 for an unBUBBLIEvable experience for everyone! 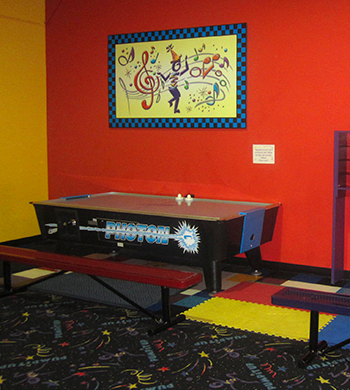 Each of our arenas has an Air Hockey Table for your enjoyment. Battle it out with Mom, Dad, or a friend for just 75 cents per game.